Living a healthy lifestyle involves more than spending time in a gym or pushing through another lap—you also need to track your weight and health, daily activity, and diet. The tech tools below can provide a wealth of information that is otherwise nearly impossible to obtain—even from your doctor. An activity tracker is essential for a gadget-infused healthy lifestyle. It's a valuable addition even for hard-core athletes. These devices, like foot pods or swim trackers, use an accelerometer to monitor your movements. The difference is you wear an activity tracker all the time, even when you sleep, and it collects data for days or weeks at a time, not just during workouts. Research is showing that keeping yourself moving constantly is even more important to your health than working out regularly. An activity tracker, which is usually worn on your waist or wrist, connects to your computer or smartphone to upload your data for analysis in the cloud. Using a tracker provides an excellent picture of your daily activity and plays a valuable role in helping you set and achieve overall daily activity goals, as opposed to only focusing on 30- to 60-minute workouts. Some track your sleep using actiography, which detects sleep cycles based on subtle body movements. Additional features include a barometric pressure sensor to calculate stairs climbed (based on altitude changes), vibrating alarms to wake you in the morning or to motivate you to move if you've been idle, or even an optical heart rate sensor. Trackers like the Fitbit Zip, Fitbit One, and Withings Smart Activity Tracker can be clipped to your belt or dropped in your pocket. The Jawbone Up, Nike+ Fuelband. Fitbit Flex, and Larklife go on your wrist. Battery life varies, but is usually 5 to 7 days, and all units (except the Jawbone Up) sync wirelessly to a computer or phone. A wireless scale calculates weight and automatically uploads data to online services and smartphone apps for easy tracking and motivation. Most use Wi-Fi and estimate body composition by measuring the electrical impedance of your body, which varies between fat and muscle tissue. The scales send an undetectable electrical signal through the soles of your feet, then calculate body fat using your height and weight. It isn't accurate in an absolute sense, due to algorithms used to estimate body fat, but is consistent between measurements if you follow some basic rules like using it at the same time every day. These tools deliver data to online services to integrate your activity and weight in one dashboard. The FitBit Aria is a stylish option for FitBit fans, and the Withings Smart Body Analyzer adds heart rate data (good for taking your morning resting heart rate) and air quality sensors, and works with more than 40 online services. A food tracking app for your smartphone records meals and calculates calories. Better yet, thanks to smartphone cameras, these apps can scan bar codes and pull results right from online databases. Most activity trackers include food tracking in their own apps, including FitBit, Jawbone, and LarkLife. MyFitnessPal is a top-rated stand-alone alternative. Track and analyze all your data with a health and fitness Web site. Most of the time, it's best to stick with the site supported by your activity tracker—and almost all support smartphone companion apps. Sometimes you might want a bit of a different focus, which is where sites like MyFitnessPal for weight management or Endomondo for GPS-tracked fitness, like running and cycling, come in. Advanced activity trackers add additional sensors (and bulk) but may be more useful for people who need more detailed activity and caloric assessments. The BodyMedia FIT adds galvanic skin response, heat flux, and skin temperature sensors to an accelerometer to more precisely measure caloric burn during the day. The Basis Band adds an optical heart rate sensor for even deeper analysis. While great for data geeks who don't mind wearing bulkier devices, they can be overkill for basic health activity tracking. Smart blood pressure monitors connect to your iOS device (and to Android devices soon) to automatically upload your blood pressure readings to many of the same online services we've mentioned. They work the same as a normal blood pressure monitor, and paired with an online service, can help you better manage your health over time. The Withings Blood Pressure Monitor works with many services and 30-pin iOS devices, and iHealth offers wireless options. For diabetics, smartphone glucose monitors like the iBGStar work like normal glucometers, but upload your data to your smartphone and online services for trending and analysis. 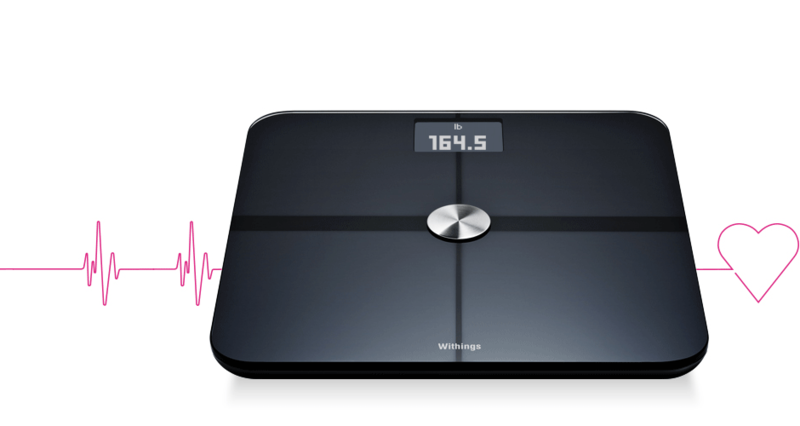 Wireless scales that don't measure body composition, or use Bluetooth or ANT+ instead of Wi-Fi. Food tracking apps that lack a barcode scanning feature, or have a small database. Phone-based activity trackers. Yes, your phone has the same motion sensor as an activity tracker, but it's hard to get the same quality of data and it will eat up battery life. This story, "The best fitness devices for the health conscious" was originally published by TechHive.